Tuning pianos in Tucson and surrounding areas (see below). If you are a piano technician and would like to read my Articles on Tuning and the Sanderson AccuTuner, click here. Piano Services Include: piano tuning and repairs; voicing; action, damper, and pedal regulation; piano cleaning; humidity control and consultation; general on-site refurbishing; and appraisals. ~ Craftsman Member since 1978. ~ Piano Technology Student, University of MO, Kansas City, Conservatory of Music, 1971. ~ Completed Kimball factory training 1979. ~ Completed Yamaha ‘Little Red Schoolhouse’ training 1983. ~ Completed Yamaha Disclavier training 1987. ~ Bachelors Degree in Music (Theory), University of Missouri-Kansas City, Conservatory of Music, 1972. ~Bachelors Degree in Music (Piano Performance), Student of Joanne Baker , University of Missouri-Kansas City, Conservatory of Music, 1979. ~ Graduated with Honors (1979) : Phi Kappa Lambda. ~ Post-Graduate study, (Piano Performance), Student of Joanne Baker, University of Missouri-Kansas City, Conservatory of Music, 1980. ~ Current Member of the Tucson Symphony Orchestra Chorus. and recently, here in Tucson, Lorie Line at The University of Arizona , and Alain Lefevre with the Tucson Symphony Orchestra. What ‘type’ of piano is it? When a new customer calls me to discuss having their piano tuned and serviced, I always want to know what ‘type’ of piano we are talking about. There are a number of different types of vertical pianos and of course there are a number of different sized grand pianos. Knowing what type of piano it is helps me to get a better idea as to what might be involved in servicing it. The descriptions below cover the majority of pianos. Hopefully your piano will fall into one of these categories. Vertical Pianos – The strings in all ‘Vertical’ pianos are positioned vertically. Spinet – Spinets are the smallest pianos with the shortest strings. They are about 36″-40″ tall. Since the keys are about the same height on all pianos, on a spinet piano, the very top of the piano is generally 6 or 7 inches higher than the keys. Due to their shorter height, spinet pianos have ‘dropped’ or ‘indirect’ actions. In addition to being the least responsive of probably all modern piano actions, spinet pianos can be the most time consuming and expensive to service and repair. 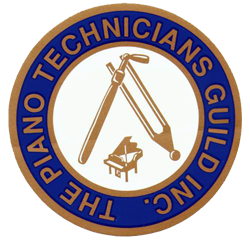 Many spinet piano owners are of the opinion their piano isn’t worth calling a really skilled technician. But it is really just the opposite. Spinets are the most difficult to tune, and generally require a very skilled piano technician to make them sound as good as they can sound. Once quite popular due to their small size, spinet pianos are less so today. Console – The console is slightly taller (40″-43″ tall) and has longer strings than the spinet. The top of this type piano will be about 12″ higher than the keys. Console pianos are tall enough to NOT have a dropped or indirect action. Consoles contain a ‘compact’ action. A compact action sits on the back of the keys, but the hammer shanks and other parts have been shortened to get it to fit in a piano of this height. Console pianos are a little easier to tune than the spinets, but not by much. The better made consoles can be fairly predictable when it comes to their tuning, but some of the lighter constructed consoles can also be very challenging to tune. Spinets and console pianos are both much more difficult to make sound good – actually requiring more skill from the piano tuner – than the big uprights and medium to larger sized grands. Console pianos are very common pianos for the home, and are available in many styles and finishes. 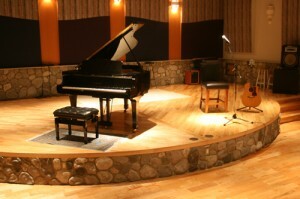 Studio – The Studio piano is normally 44″-48″ tall. This type of piano is tall enough to have a ‘full sized’ vertical action. The top of a studio piano is about 24 inches higher than the keys. The action in these pianos is generally as efficient and responsive as it gets in a vertical piano. Originally these pianos were most often used in schools and church choir rooms and were ‘institutional’ in appearance – with supported front legs, big casters, &c. But recently, manufacturers have been making this size piano in many home friendly styles and finishes. Their full size action and longer strings make them a good choice for a reasonably good vertical piano sound and feel, and a good choice for many vertical piano buyers. Upright – This ‘Upright’ category is the ‘catch all’ term for the big vertical pianos. Their height ranges from 49″ – 60″. This is the type of piano your (great) grandparents used to play! The first vertical pianos were these big tall ‘uprights’ or ‘Upright Grands’. These actually preceded the smaller verticals – the spinets, consoles, &c. Due to their height and long strings, the full sized actions in these pianos must be raised up in order for the hammers to strike the stings in the appropriate location. Their string length are approximately the same as a 5’7″ grand piano. These big verticals are still being manufactured today and are the cream of the vertical piano crop. Many use the word ‘upright’ and ‘vertical’ to mean the same thing. Grand Pianos – The strings on all Grand pianos are horizontal. As the keys are pressed “down’ in a grand piano, the hammers travel ‘upward’ to contact the string. On a vertical piano, as the keys are pressed ‘down’, the hammers travel ‘outward’ to make contact with the strings. Since the Grand Piano action doesn’t have this extra change of direction, grand piano actions are generally more efficient and responsive than vertical piano actions. Grand pianos are measured (in feet and inches or in centimeters) from the very front of the keys, to the very back edge of the lid that hangs out over the back end of the case. At one time a 6′ grand was considered a small grand piano but it is doubtful anyone today would consider a 6 foot grand a small or a baby grand. 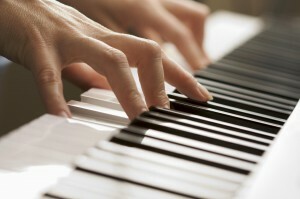 Small or Baby Grand – Generally speaking a baby grand might be any grand less than 5’3″. Even thought the string length on these small grands can be less than on some verticals, all grands have a grand action, which doesn’t have to go thru the change of direction the vertical action does in order for the hammers to strike the strings. At one time a manufacturer made a grand that was so small (approx. 4’6″) not only were the strings shorter than many spinet pianos, the action was somewhat radically modified to get it to look right in a piano that small. And since the string lengths are often so short, the same difficulties in tuning spinets and consoles are often found on these small grands. Even though this piano was a ‘grand’ piano it was very compromised when it came to sound quality and playability. Medium Sized Grands – This term is often used to describe pianos from 5’3″ – 5’9″ in length. The string length of these grands is generally equal to or longer than those of the larger console and studio pianos. Generally speaking, the longer strings allow for better scaling and more ‘predictable’ tuning procedures. A good tuner/technician is always a plus, but these larger pianos are definitely easier to tune. This size is a very popular choice due to affordability, aesthetic appeal and sound quality. 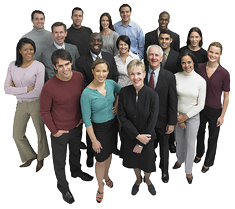 The Larger Grands – The larger grands range in size from around 6′ to over 7′ in length. These larger grands are wonderful for home use. A 7′ piano is often the pianist’s piano of choice for their personal use and are very commonly found in university piano faculty studios. A 7′ piano is often generally enough piano for smaller recital halls, church sanctuaries, and other applications where a concert grand is not necessary or affordable. Concert Grand – Concert Grands are approximately 9′ in length and are found in the major concert halls all over the world. There are a few manufactures who offer a slightly larger concert model. The Bosendorfer Imperial Grand is 9’6″ and has extra keys in the bass giving it a range of 8 octaves (97 notes).